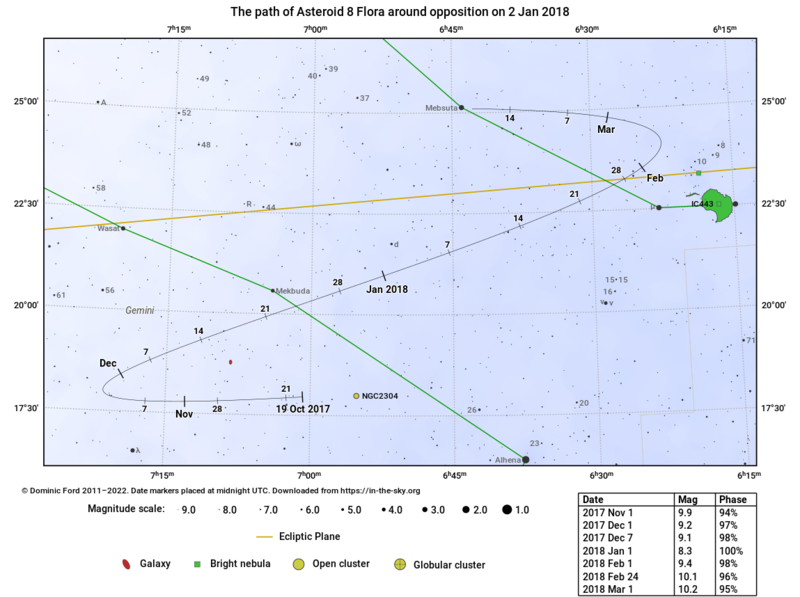 Asteroid 8 Flora will be well placed for observation, lying in the constellation Gemini, well above the horizon for much of the night. From Fairfield, it will be visible between 18:39 and 05:13. It will become accessible at around 18:39, when it rises 21° above your eastern horizon, and then reach its highest point in the sky at 23:54, 69° above your southern horizon. It will become inaccessible at around 05:13 when it sinks to 22° above your western horizon. 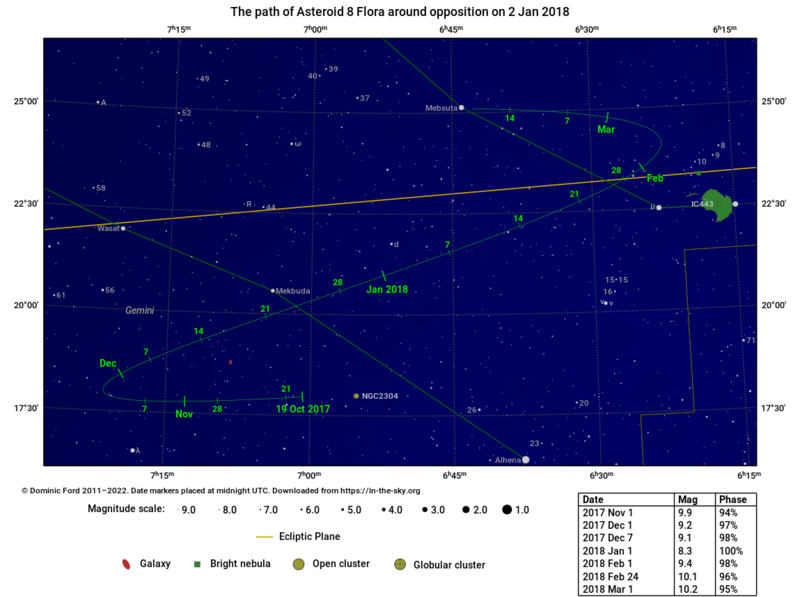 On this occasion, 8 Flora will pass within 1.03 AU of us, reaching a peak brightness of magnitude 8.2. Nonetheless, even at its brightest, 8 Flora is a faint object beyond the reach of the naked eye or binoculars; a telescope of moderate aperture and a good star chart are needed.